Montreal’s Joey Savoie enters the 2018-19 campaign as the men’s top-ranked athlete in the World Amateur Golf Rankings. His 2018 season was highlighted by winning both individual and team honours at the Tailhade Cup in Argentina. 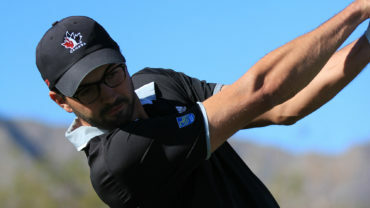 The Middle Tennessee graduate also notched top-five results at the Argentine Amateur, Azalea Invitational and Duke of Kent. 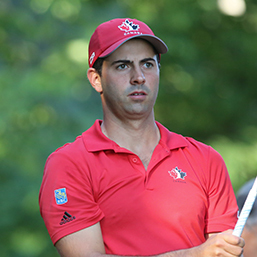 Savoie finished T19 at the 2018 Canadian Men’s Amateur and won a U.S. Amateur Qualifier in Lexington, Ky. Savoie captured the Quebec Amateur back in 2016 and will return to the Amateur Squad for a second year. I started playing in my backyard with my grandparents in Saint-Luc after school around 6 years old. My uncle was a golf professional and I really wanted to play golf like he did. We lived on #7 at Saint-Luc and I played a lot of shots on that little par 3. After that my parents signed me in at summer golf camps at Pinegrove Country Club when I was 10-11 years old. My relationship with the members started at an early age because I was always on the putting green and chipping green. I started competing around that age for the golf club and I loved it. I met great supporting people and great friends. Nothing special, just the colour changes depending on the team I represent. Red when I play for Team Canada, blue when I was playing for the MTSU Blue Raiders and green when I was playing for the Saint Leo Lions. One sister, Charlotte, 20 years old. Probably the best looking actor in Hollywood or my uncle Michel Laperriere, he is a great actor, but he might need a little help to imitate my golf swing! And the producer has to be Jill Mazursky! I play a little bit of guitar. Picture at the Waffle House in Murfreesboro, TN. First, La Prairie, QC where I currently live is beautiful. It is picturesque especialy in the old part of town and by the Fleuve Saint-Laurent. However, the people are the best thing about that city! Also, I was born and raised in Saint-Jean-sur-Richelieu, QC and went to primary school and Cegep there, so it is a special city for me. None. I just like to have a plan.